I have finished the translation of another Itch-toStitch pattern, the Vienna Tank Top. I need some proof readers who are also willing to sew up the pattern. You can find the full description of the pattern including material here. Need some inspiration? Look at the lovely creations from the testers here. Or my two versions here and here. You have enough time to send me the corrections and pictures of the finished garment until June 06. Ideally you have a blog or facebook page to share your finished Vienna Tank Top and to participate in the blog tour. 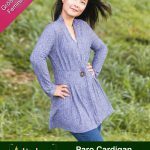 I plan to start testing on Friday, May 26 and would like to receive the proof read pattern as well as your modeled photos with the Vienna Tank Top on Tuesday, June 06. Testers will be invited to a facebook group where we can discuss the translation and share pictures. In return for your effort you will receive a copy of the final German pattern. Then please leave a comment or send an email to sewingdreams (at) web (dot) de with ref “Vienna”.